To our European and Australian fans who have been waiting very patiently for the release of Azure Striker Gunvolt, we want to once again thank you for your patience. As a first time publisher, we are going through all of the trials and tribulations of a worldwide release for the first time, and we appreciate you for sticking with us through all of this. Releasing a game in Europe/Australia is a different beast from Japan and North America where you only need to have a rating approved by one agency and prepare the game in one language for each of those regions. Approvals from multiple rating agencies in different countries and localization in 5 different languages adds a lot of time to the process, as you can probably imagine. However, today we are happy to report that we have received our ratings from all of the applicable rating agencies (including PEGI), and can now proceed to the last steps required to make the game available to you. If you think of all of this like a game, we are on the Final Stage! 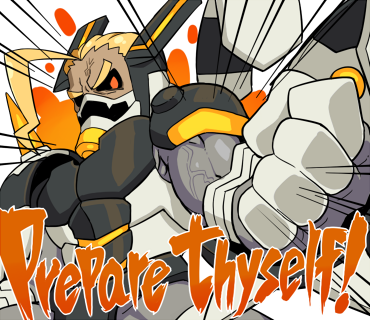 As Carrera said above, “Prepare thyself!” Gunvolt is coming soon!